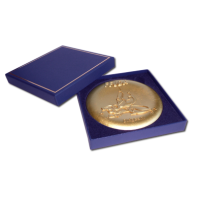 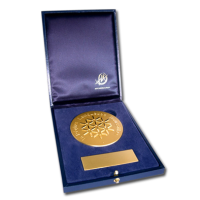 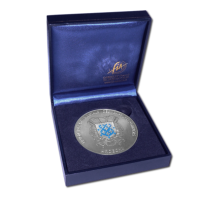 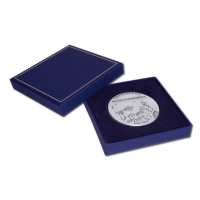 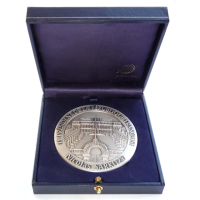 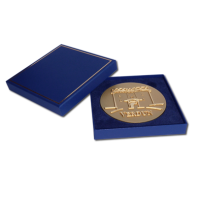 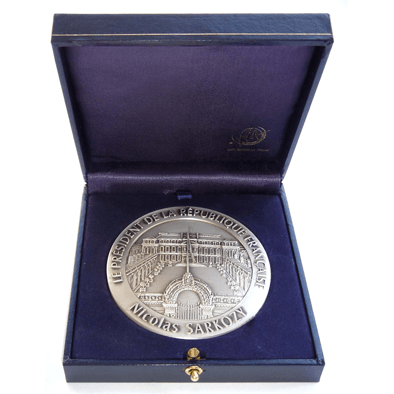 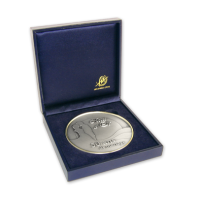 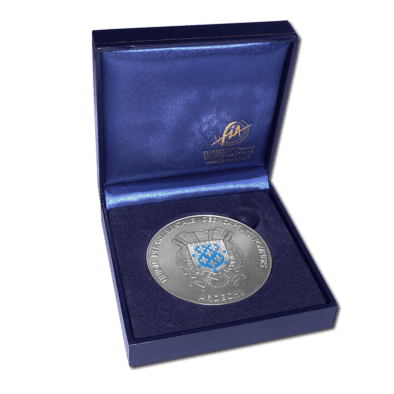 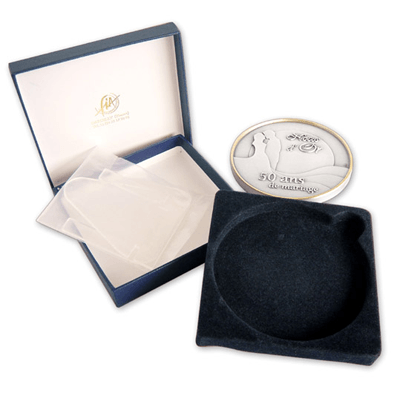 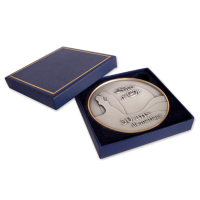 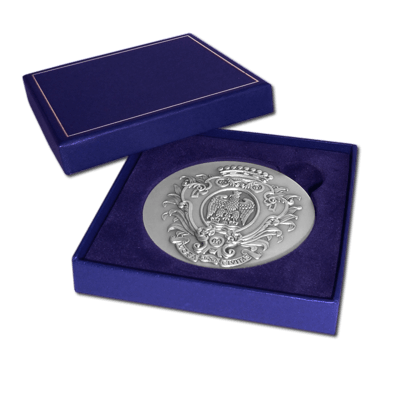 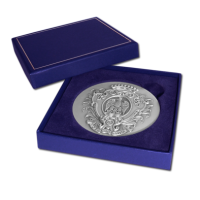 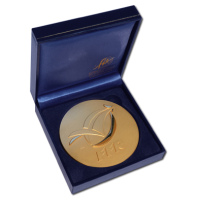 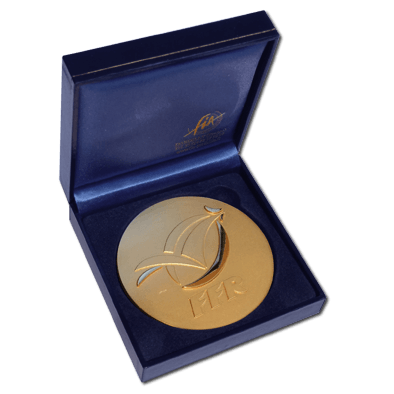 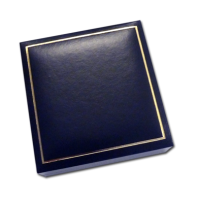 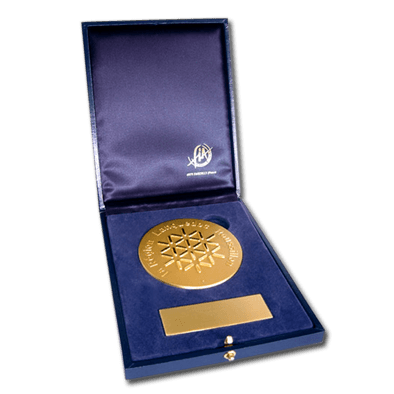 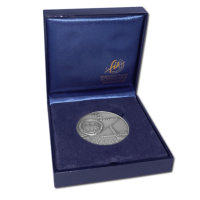 Our regular medal packaging is an elegant blue gift box with a velvet bottom form. 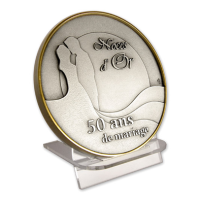 Hidden below the velvet form, it features a small acrylic display support for assembling. 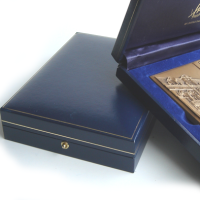 Our blue gift box is made of paper and is environment-friendly. 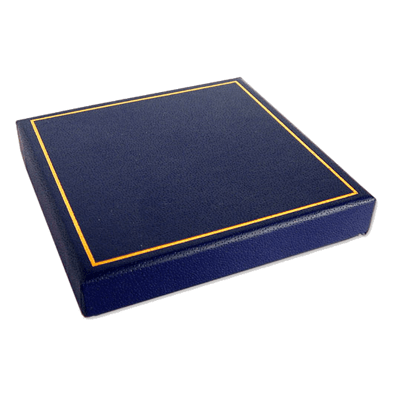 Highly elegant, its cover is made of dark blue leather looking material and features a golden thread. The jewellery-box also comes with the small acrylic display support for assembling. 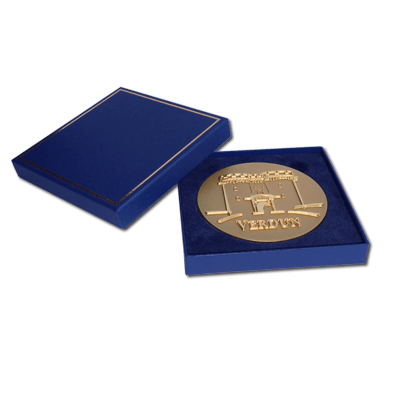 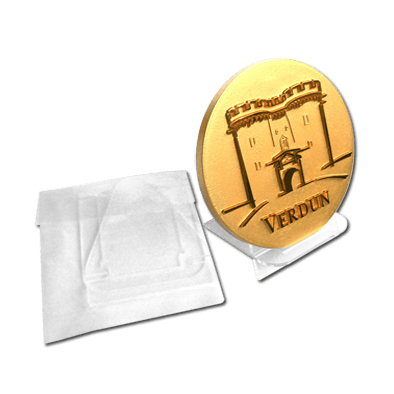 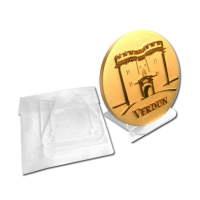 This packaging is available for all the standard diameters mentioned above but also for 110*80mm (4.3*3.2″) rectangular medals. 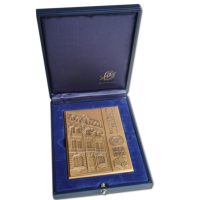 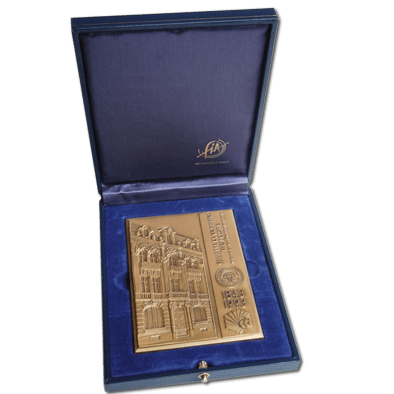 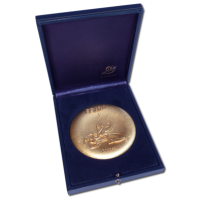 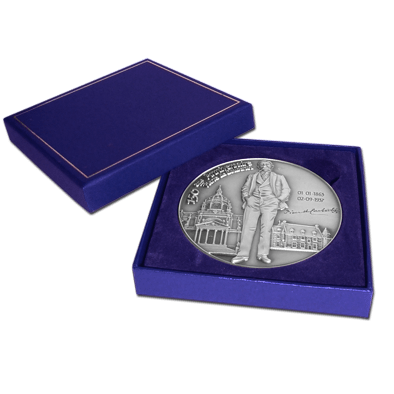 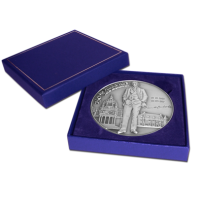 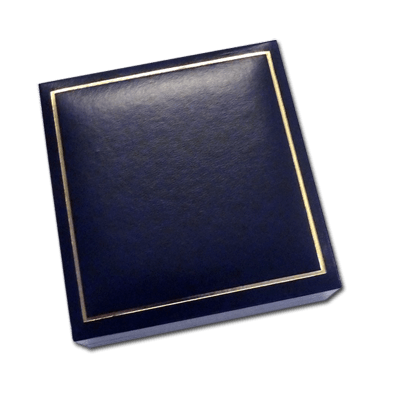 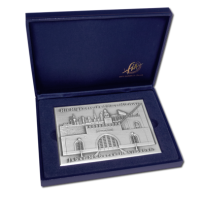 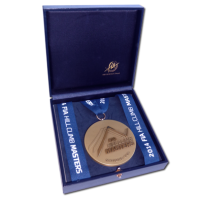 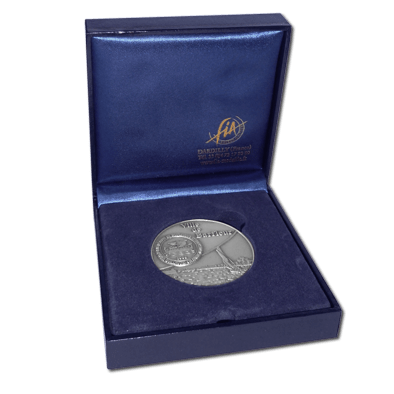 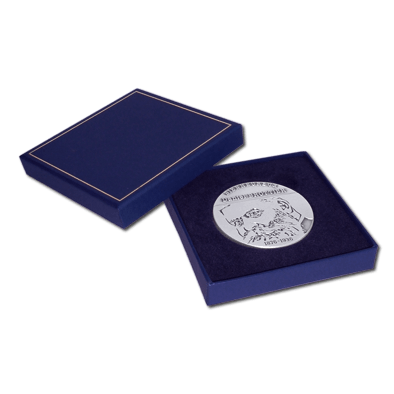 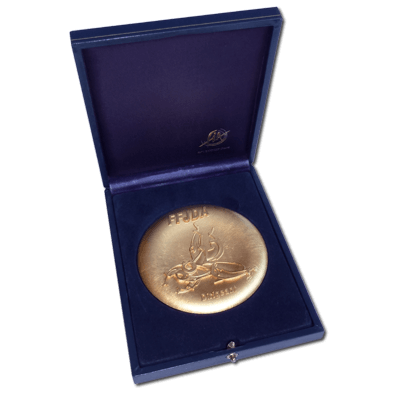 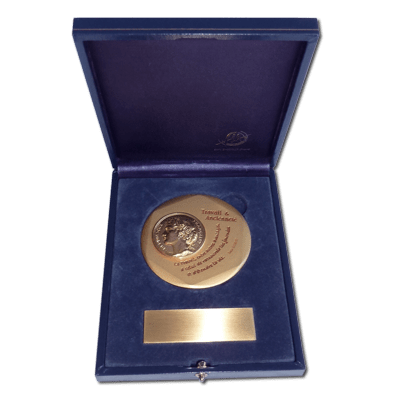 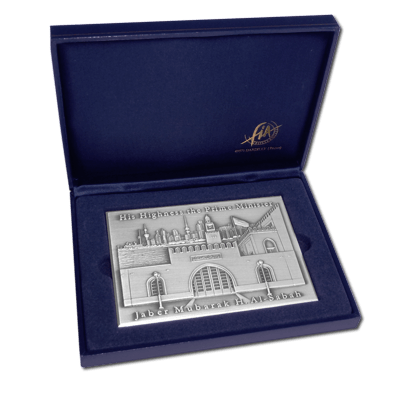 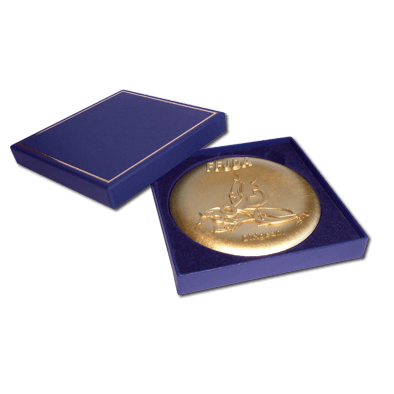 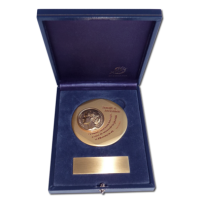 For special occasions, we offer a large rectangular jewellery box for the 73mm (2.9″)-sized medal with a brass plate for a specific text engraving or a squared one for a 73mm (2.9″)-sized medal with a ribbon.